Meet Mustafa Ünal, New European entrepreneur! 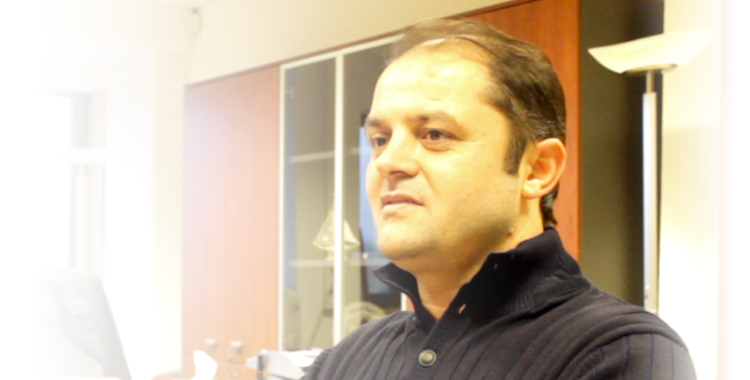 You are at:Home»Meet the New Europeans»Meet Mustafa Ünal, New European entrepreneur! The entrepreneurial adventure of Mustafa Ünal is the kind of story everyone likes to hear: filled with twists and turns. Starting up with a small market business, against the will of his family, Mustafa Ünal now runs a home appliances company, UNICOM, which fate was decided very quickly. UNICOM is today the Belgian office of the Turkish company SINBO and serves several markets such as the Benelux countries, France and Germany. With his brother, who runs a partner company, they employ 26 persons of various backgrounds. But the story of Mr Ünal is also the one of an initiatory route, during which he has learned to find the right balance between the Belgian entrepreneurial culture and the Turkish one. “Learning by doing” has indeed been the way to go for a whole generation of Turkish migrants until the end of the 1990’s. A generation that did not speak the language of their new home country, that did not study at university and that did not know the necessary administrative steps in order to start a company. “We knew nothing of the language. We would work with an accountant without understanding what he was doing for us. I sent my son to university to study external trade. Everything he learns, we learned it on the job”.